Well it's a new week and we have not done our #AfterShots in a long while. So we brought it back! This week we try out a new Horror Plot Generator to see how it matches up to our #graveplots. It's probably as you guessed but we make up a story of “The Curse of the Spiked Bat” which is pretty silly. Then talk about some true crime this week. Anything goes on a #AfterShots Episode. 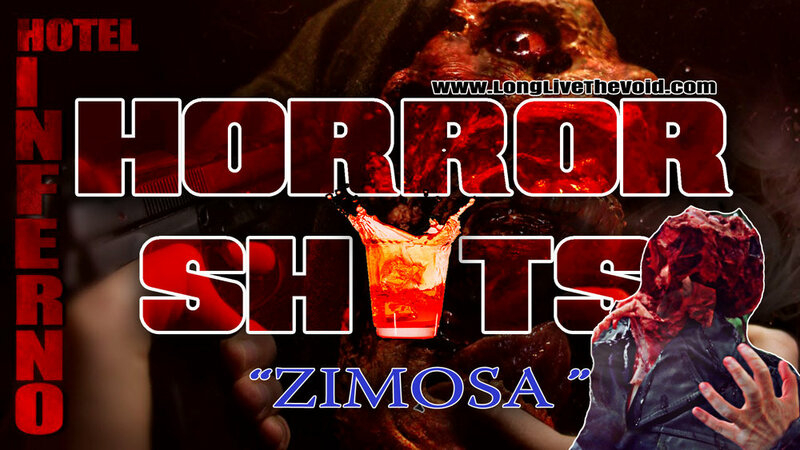 Plus this week we do a big ol' chunk of news and take a “Zimose” #HorrorShot as an ode' to “Hotel Inferno” for this Thursdays episode! So grab your champagne, don't forget your spiked bat and be sure to grab your slot as we travel Beyond The Void of 2017! a Shot for Frank Zimosa from the movie "Hotel Inferno" as a pregame for Thursdays Schlock fest! Starz Dropped from 4th largest cable provider. The Church by Michele soavi. is finally making it to Blu ray March 20th. Spontaneous Human Combustion is back. Don't forget to sound off with your STORY GENERATOR in the comments!